for $2,250,000 with 3 bedrooms and 1 full bath, 3 three quarter baths, 1 half bath. This 9,130 square foot home was built in 1974 on a lot size of 2.00 Acre(s). Amazing, unique mountain estate perfect for family retreat. 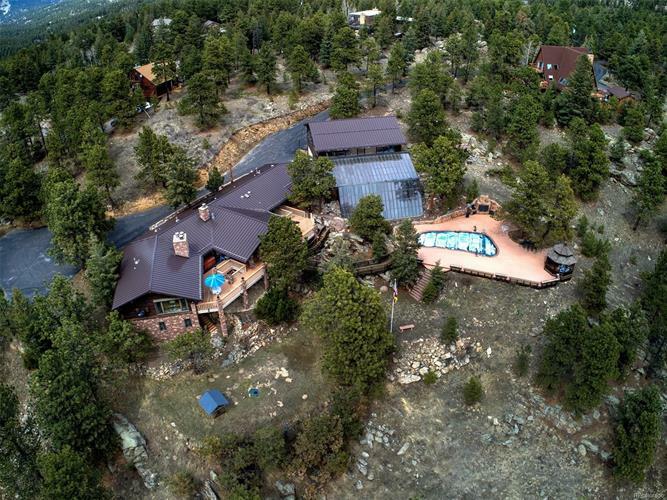 Huge mountain views on this private 2 acre lot. Extensive use of lava stone throughout, vaulted and beamed ceilings. Main level includes upgraded spacious gourmet kitchen w/ walk in pantry, eating area and water feature, large master suite with stone fp and huge bathroom/closet, guest room w/bath, panoramic windows, skylights, formal dining, living room and library. Lower level includes two separate suites with kitchens, an amazing bar/game room, exercise room, wine tasting room and 1046 bottle capacity wine cellar. Washer/Dryer on both levels. Huge 8 car carpeted garage with 1772 sq. ft. of bright finished flex space above. Exterior features include 3 life size bronzes (elk, bear, wolf), eagle carving, pond, waterfall features, heating swimming pool, 3000 sq. ft. of composite decks, new hot tub, gazebo and two extensive outdoor kitchens. Call office for features lists and inclusions. Too many to list!